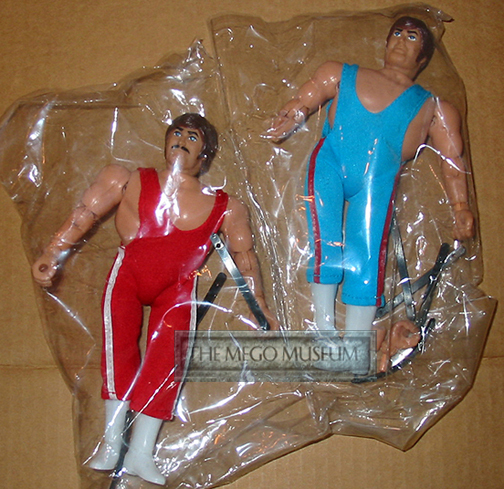 The Dare Brothers would be page one in the encyclopedia of Obscure Mego lines. 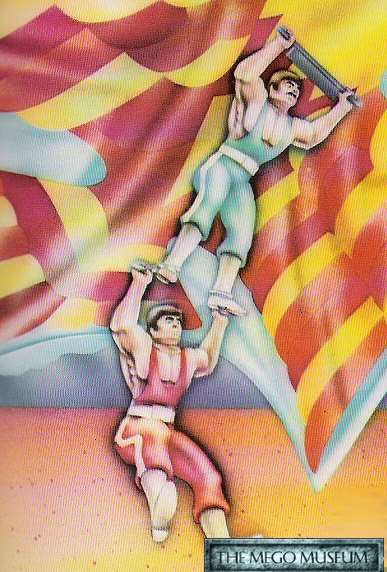 A high concept melding of Big Jim and Evel Knieval, Dare Brothers was an action toy that revolved around two daredevil brothers and their glider. Many thanks to Chris Johnson for the donation of these great pics. 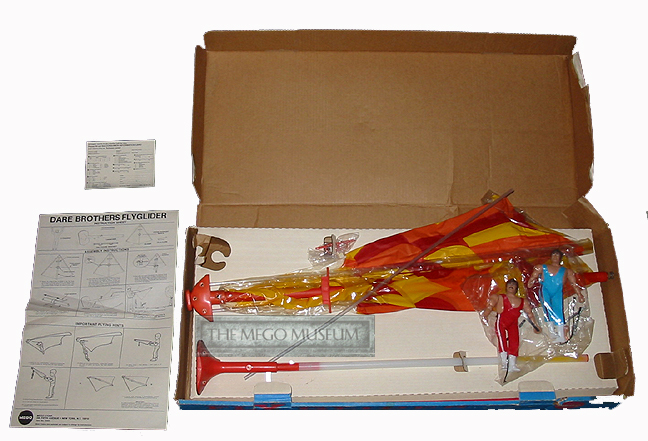 The set in it's unused glory, while the figures have appeared once of twice before, this is the first sighting of a boxed set. The seldom seen Dare Brothers, Mego didn't seem to give these 6" guys names. Note the slight resemblance to Big Jim characters.